Hartford is great when it comes to having a wicked dense skyline for a city its size, but the issue with it is that most of the buildings are very boring ugly 70's and 80's architecture. There's only a few buildings that really stand out. Providence pretty much has a sampling of every era of office building styles from the last 75 years, I think that makes it very interesting. On another note, about the good/bad angles of skylines. I totally agree with that, the only good views of Manchester are if you're driving either north or south on 293, other than that all the buildings look pretty spaced out. It doesn't really matter how many buildings a city has though, even Prov has some bad angles. Fair enough...interesting points well worth considering, for sure. Interesting topic. Best skylines are easier to pick than best cities (too much goes into that), although I can't really think of 15 of them. There are only 10 or so cities in New England that have noticeable skylines. After that, a few may have a building or two that sticks up above the trees, but not a standout skyline. 2)Hartford: I think it's better than PVD, though PVD has improved most in the past decade (Waterplace, GTech, new Westin). 4) Cambridge: It really stands out from the Charles or the Tobin. Sort of a mediocre combination of buildings though. 5) Springfield: Maybe not as big as New Haven, but good scale and Monarch Place is an attractive tower. 8) Stamford: Generic, mostly modern, and sort of flat. But it does stand out. 9) Manchester: Looks great along the river, but it is a bit small. 10) Bridgeport: Meh. But there is some scale. It's hard to judge the rest. Portland, New Bedford, Fall River, Lowell, etc all have some "mid rise" buildings that rise above the trees and surrounding buildings, but not much of a skyline. At least not worthy of ranking. It's hard enough just to get to 10. I'm also not sure what the best skyline outside of Boston is. Although I am liking more and more of what I see in Providence at the street level (at least in the downtown and urban areas), I still feel like Hartford has the 2nd spot, by far. Maybe Stamford would be 3rd, or perhaps tied with Providence. Thought we agreed Stamford cheats... When I went to "NYC" I stayed in Stamford. Cambridge in a way doesn't count IMO since it basically is Boston and just kinda goes along with it. But it is nice. While an interesting skyline is nice, I think it's far from the best way to judge a city (I think there's also a pretty good thread somewhere comparing the various skylines of New England). I don't want to rank cities since my familiarity with most cities in New England is pretty limited, but I did want to comment on the latest Portland-Manchester debate. Let me first state my bias: I grew up in Manchester, it's where my family has lived for generations; I think both are great emerging cities, but Portland is considerably farther along in its renaissance. First, as to the metro areas, I really don't think there's any way to accurately measure them objectively and say that Portland is larger. The Portland-South Portland-Biddeford MSA is considerably larger in land area than that of Manchester, and even combining Manchester-Nashua includes such distant, rural, non-commuter towns of New Ipswich while leaving out two of the largest towns in New Hampshire, Derry and Salem, which are both very tied to Manchester while being in the Lawrence MSA. Even Concord might reasonably be considered part of the same metro area as Manchester, and for planning purposes I'd argue should be. Portland's downtown is more cohesive, denser and more vibrant I'd say, but Portland becomes suburban much more quickly than Manchester. Portland off-the-peninsula is largely single-family, suburban development (granted mostly of the good, formerly streetcar, pre-war variety) whereas the neighborhoods surrounding downtown Manchester remain dense and walkable for several miles (or at least one mile depending on the direction). All that having been said, Portland is inarguably more important regionally; it is farther from Boston and therefore more self-sufficient. Manchester's skyline is best viewed from the Amoskeag Bridge, or watching it unfold along 293 (which also allows a nice view of the lower, but at least as visually important Millyard). The taller buildings are not clustered as in many other cities, and are strung mostly in a line, but the view is still quite nice from the dense West Side, as well as from the hills of the East Side. I'd argue that the skyline is nice in some ways because it's spread out, with towers piercing the sky of an otherwise relatively low city more like the traditional church spires or even the clock towers of the Millyard. To that end, the view from downtown of the spire of Saint Marie's against the Uncanoonucs is quite nice. Manchester's skyline, especially when you take Saint Marie's and the millyard into account is nicer and more visible from around the city than Portland's, but Portland's downtown is considerably more vibrant. This gets to my point about the skyline as a measure of a city--Portland, despite lacking much of a skyline, is one of the most enjoyable cities to be in, whereas Hartford's dense skyline is arguably one of the least enjoyable downtowns to inhabit. As I said, Portland seems to be considerably further along in becoming a vibrant urban center. This owes to a huge number of factors, not least of which is Portland's distance from Boston, its seaside location, and the fact that it is the cultural, tourism, economic and population center of the state. Manchester, on the other hand, has to compete with other Boston satellite cities, does not have as great a natural draw (though I'd argue that the Merrimack is an unharnessed draw), is not a tourist destination, and splits (at best) the cultural capital status with Portsmouth and maybe even Hanover. Another big part of why Portland is further along I think is what Patrick said about their respective urban design. Manchester, by its nature as a planned city along a river and even more so by its later ill-guided redevelopment reads as largely linear whereas Portland is clustered and hemmed in on a peninsula. The urban renewal of the 1960s-1970s really decimated what would probably be some of the most vibrant, interesting and attractive areas of Manchester today: the Millyard, the Notre-Dame and Granite Square neighborhoods of the West Side, and vast portions of the edges of downtown. Not only would these areas probably be very attractive urban neighborhoods like those on the edges of Portland's downtown, but they would have greatly reduced the linearity of Manchester. Hopefully future redevelopment and planning will help to remedy the errors of past planning initiatives. Combined with improved transit, regional planning, better zoning (recent changes to promote and strengthen neighborhoods, promote mixed-use, density and walkability are a good start), a further embrace of its recent ethnic diversity, and citizen initiatives, Manchester is poised to see huge improvements. While it currently lags behind Portland, more of the city is comprised of the sort of neighborhoods and buildings that once rehabbed (beginning to happen) will lead to wonderful, dense, lively neighborhoods. In the end, though, I don't think it's possible to make an accurate comparison. Portland is far more of a regional center, but Manchester is considerably larger. If Manchester can better embrace its status as independent, regionally important satellite city of Boston, improve transit and planning regionally and within the city, and better incorporate Concord and Nashua as components of the metro-Manchester area as opposed to rivals, it is well positioned to be as vibrant, interesting and attractive a place to live and work as Portland. While I don't think they're that comparable, I do think the rivalry is healthy: both cities being able to contend for the capital of northern New England keeps them both on track for further improvement. I completely agree, especially because the Cambridge "skyline" is extremely peripheral to the city. While an interesting skyline is nice, I think it's far from the best way to judge a city (I think there's also a pretty good thread somewhere comparing the various skylines of New England). Absolutely! In the bigger scheme of things they mean absolutely nothing. Many of the best urban neighborhoods are comprised entirely of buildings under 10 stories. The reason it's fun to compare skylines is that no one has to have an intimate knowledge of the city to have an opinion on a skyline. Furthermore, it says nothing about which is the better "city." Case in Point, I'd rather live in Portland Maine than in Springfield even though Springfield has a better skyline. I understand where you're coming from, but it's across the river and there are many angles where it's distinct from the Boston skyline (Tobin Bridge, Charles River Esplanade, etc). Jersey City's skyline wouldn't exist without New York, but it is a separate entity and there's no denying it is distinct and unique. Cambridge is the same way (obviously on a smaller scale). It may be peripheral to Boston, but it does exist and is visible by itself from many angles. Therefore, it's impossible to disregard it. I do understand your comments about the Portland and smaller sized cities, but I think Portland being situated on a hill gives it a fantastic skyline from at least two angles. Worcester, I'm not so sure about, because although taller than many cities, it is just three buildings. A few more and it would be well-spaced, which is a factor I consider. Cambridge I always lump in with Boston, though I know they are different municipalities, because its the same area. Springfield is nice, but so small. I'd like to see some growth there. Not too familiar with Bridgeport's skyline, and don't remember seeing one while driving by to NYC...any pics? When I google I get pics of stamford. Those are some of my thoughts. I am surprised no skyscraper has been proposed in a new england city which follows the pattern of a steeple, like the Chard in London, because spires of that sort really were the forerunners of the American skyline. Well put and well summarized. I agree 100%. I too think the "rivalry" (which is sort of misleading, because I am all for improvements that would make manchester better) is healthy, but just comparing apples to oranges. The bit about the metro area is just based on census facts (Portland's spreads out much farther, for the reasons you mentioned). Manchester does stay denser, longer, although much of it is suburban density (better to be dense if you are suburban...low density suburbia is not great!). You are right Portland gets very suburban off the peninsula, and I think that is because of the peninsula itself, which acts as a sort of natural urban growth boundary of the sort legislatively imposed in Oregon and other states. However, some of the inner ring suburban neighborhoods are, as you said, former streetcar lines, and therefore have much of what is considered "urban" today in other parts of the country: front porches, neighborhood center groceries/bakeries/restaurants, etc. In Oakdale, there is a little corner around Forest Ave with a nice little breakfast spot or two (three, actually), a baker, coffee shop (Dunks, but coffee nonetheless), and an arts supply store, amongst other places to shop and walk to. In Rosemont, there is a little neighborhood center with a whole-foods like local grocer and several surrounding shops, as well as a very nice quaint restaurant (JP's, formerly Rachels), and then the biggest neighborhood center of them all is Deering Center, which has a movie store, foreign imports store, convenience store, local sports bar and grill pub, schools, restaurants, etc...used to be the downtown of the town of Deering, I think...very walkable. All off the peninsula. The only problem is that these "centers" though once thriving have been frozen as is while most attention is paid to the downtown. Moreover, some of them have to deal with their walkability being limited by planning blunders of the past...just like Manchester. Anyway, that's all I have for now...but good post. Oh, and P.S., I almost laughed out loud when a realtor told us while we were looking for a house (in the North Deering neighborhood, very suburban, which is NOT where we now live) that the house would allow us to "walk to the shops at north deering." The shops at north deering consist of a rite aide, a walgreens, a shaws, a pet store, a gas station, a few banks, all with large parking lots...moreover, you would have to be crazy to try walking there....what a joke. FrankLoydMike, your input on the Portland/Manchester debate was excellent and some of the comparison points you brought up were extremely accurate. 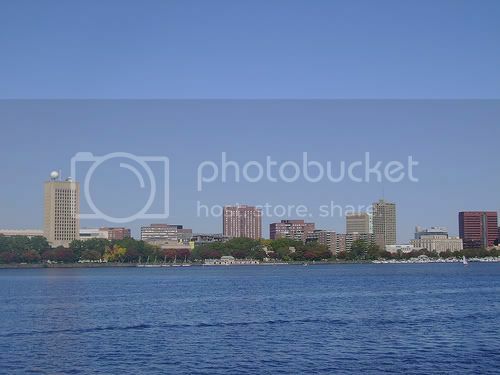 Lrfox, I am in total agreement with your top ten New England skylines with the exception of Cambridge which I also feel is an extension of Boston. Picking between Bridgeport and Manchester is very tough, Manchester is a little taller but Bridgeport is a little more dense in my opinion. Final point. What Portland's skyline lacks in height, it more than makes up for it in the total amount of 10 story buildings or taller. And if the vocal minority did not get their way over the last three decades Portland would have had a couple of other signature structures in place for your viewing pleasure! Last edited by Portlander; 12-30-2010 at 07:29 PM. Don't forget Promenade East condominiums, two 13 story condo towers joined together in an L shape. Also, Portland House, at 14 stories on one side (waterside), Maine Med at 10 stories, and others at 8. Outside the peninsula, we have Deering Pavilion at 11. What is too tall? Anyone think there is a height too tall for Boston? I think Portland would do fine with a couple buildings at 30 stories or about...40 might be too tall, especially if such a structure wasn't surrounded by a few intermediately tall similar buildings. I think 150 would be too tall for Boston, maybe not for Chicago/NYC types. I don't know if it is just my bias as a Portlander, but I don't think it is. I really think the City has a magnificent skyline. The criticism I have, and planners have noted it for years with City officials failing to take note, is that it is a fairly uniform skyline in height. All the buildings look like they are related. If nothing else, I think it is at a perfect starting point for future expansion to be a great skyline, if it isn't already (I think it is). Last edited by Patrick; 12-31-2010 at 12:15 AM. Portland has a decent skyline. It is hard to sometimes realize that from certain angles. I do think Portland Could have a much better skyline, especially if NIMBYism would stop getting in the way of proposals with height and visual significance. For a city its size, Portland is doing alright. I love all these comparisons between New England's cities. To talk about CT for just a sec though, I don't really think Stamford/Bridgeport and even New Haven should be considered urban centers or even fall into the skyline rankings. I always look at these cities as just being part of commuter towns for NYC. I know there's a lot of business etc in these places, but their growth is directly based on NYC, they can't really put themselves into a position where they could be independent of that. Manch, Providence, and Worcester can be independent of Boston, and position themselves as centers of their region, but these three can't be independent of NYC. Muns, I see your point, but I disagree. If that was the standard, practically nowhere would be a true city. There are only a handful of global cities, and the rest are just commuter towns in a sense. But not the sense in which you use it. Read the book "City" by Douglas Rae (http://www.amazon.com/gp/product/030...YVJFH97BZAP7XM) which has a fantastic description of many cities and their connection (and independence from) larger cities. If the places you mentioned weren't independent from NYC, then why are they located so far away? There is a stretch between those places and NYC that is NOT urban, and the only thing I can think of to explain this is that, although the places may benefit from proximity to NYC, there is something peculiar to their specific locations that makes them urban even without this connection to NYC.